LookLocalWA's Perth directory puts you in touch with Cabinet Maker specialists near you. There are many skilled and professional cabinet makers - Perth, WA. Each cabinet maker provides his or her own services, from bespoke cabinet making to a unique range of cabinetry. 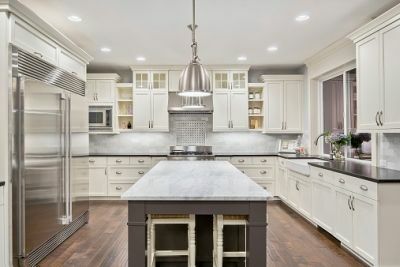 You may be wanting to find a cabinet maker if you are wanting to renovate your kitchen, bathroom, create a home office space or to have custom- made furniture in your home. Whether you are after a modern style, contemporary design or a traditional country home design, cabinet makers - Perth can custom build and create an inspiring space for you that you will love. Having a cabinet maker replace existing cupboards and benchtops in your kitchen or bathroom area is a cost-effective way to modernise and renovate your home without the price tag! But, finding the ideal cabinet maker - Perth can be a difficult task as there are many - Perth, so how do you find the right tradesperson? Do your research. Ensure that the cabinet maker you choose can provide exactly what you’re after. Be detailed in your description. This lets the cabinet maker know and understand exactly what you’re after, communication is the key. Have a quote before you begin. This is easier on the cabinet maker and on yourself so you both know and understand financially what is expected before they begin their work. Contact your local cabinet maker - Perth today! Are you a cabinet maker - WA? Join LookLocalWA today! LOOKING FOR A DREAM KITCHEN AT AN AFFORDABLE PRICE? We supply and install custom built kitchen and vanity cabinets from budget to luxury! HURRY!!! THE FIRST 10 CUSTOMERS TO GET A FULL KITCHEN DONE FROM US WILL BE GIVEN A MIXER AND SINK FOR FREE!!! Hi this is Essi carpenter cabinet maker with more than 25 years experience . OFFERING quality furniture made from a wide choice of timber and veneers, P’QUE Timber Craft can create the perfect custom piece to complete any home. The business can provide everything from free standing furniture for the bedroom or living areas to built in cabinetry for the home office and theatre. Furniture and cabinets can be made with any available timber or veneers, from local hardwoods to imported exotics. The business also specialises in furniture made with recycled materials and can transform an old piece of quality family furniture into something new and unique with extra sentimental value. Owner-operator Gary has almost 25 years’ experience in the furniture making industry and is passionate about creating unique pieces customers will enjoy for years to come. “I try to do things as traditionally as possible while using modern fixings and materials,” he said. The in-home design service allows Gary to take the time to fully understand customers’ needs and offer expert advice if needed. Gary takes pride in his high quality workmanship, always ensuring clients are completely happy with the end result. P’QUE Timber Craft is located in the Perth Hills, but also services clients in Perth and its surrounding suburbs. Gary also has the equipment needed to offer timber cutting services and edging - whether it be solid timber, melamine or ply. WITH an honest and genuine approach to cabinetmaking jobs, Boss Kitchen Cabinets are a trusted company to complete work professionally and on time. The business takes care of all areas of cabinetmaking, including bathrooms, kitchens, laundries and stone bench tops. Cousins Mark and Matt run the business, each bringing their own specialised skills to their work. Mark has 25 years’ experience as a cabinetmaker, while Matt has spent 25 years in the building industry, mostly in carpentry. Matt said being a small business allowed them to spend more time with clients to understand their needs and discuss ideas. Each job is hassle-free, with Mark and Matt being understanding if clients wish to make changes to their designs. He said the business could also offer fairer rates compared to big businesses. The majority of the company’s work is a result of client referrals, emphasising its commitment to quality workmanship and customer service. The business caters to residential clients across the Perth metropolitan area. Granite Cabinets. The complete kitchen renovation specialist and one-stop cabinet shop.